Yikes! I need a bigger boat. Might even have to come to this place with the car and pull some of the heavier stuff out. 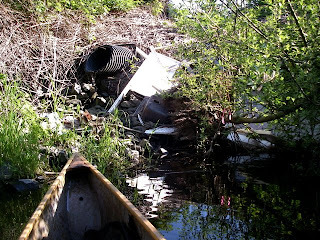 There's a big sink in that pile, some large panels, parts of a stove, and other nasty stuff. I get the feeling that they would prefer their home to be free of this stuff.